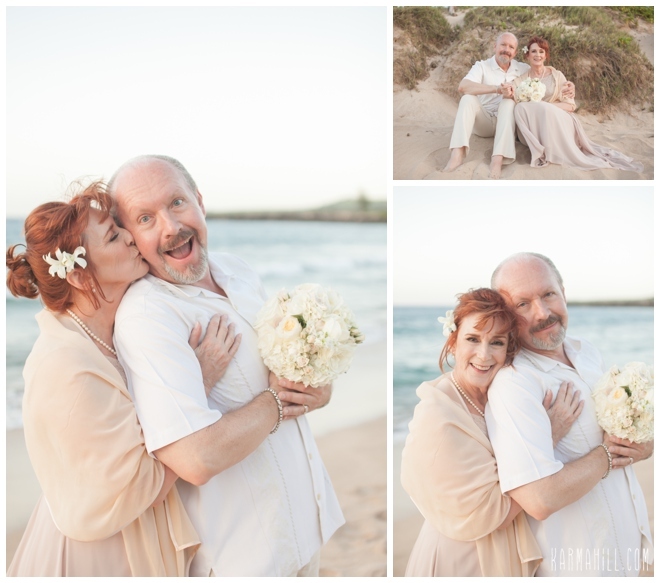 We met Laura & Bruce for their dreamy Maui wedding right before sunset last week. 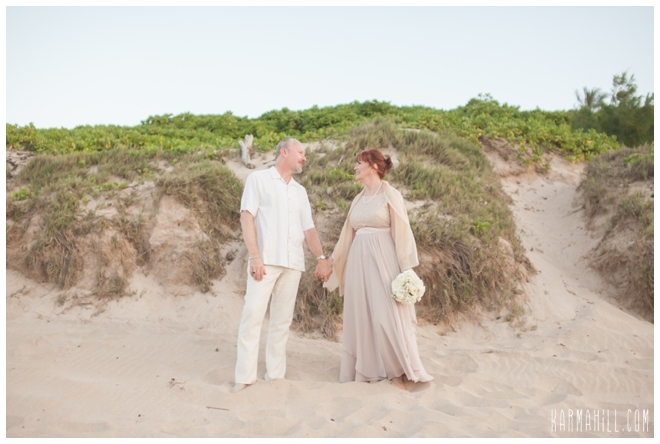 They chose Ironwoods because they LOVE the soft dreamy light, just like we do! 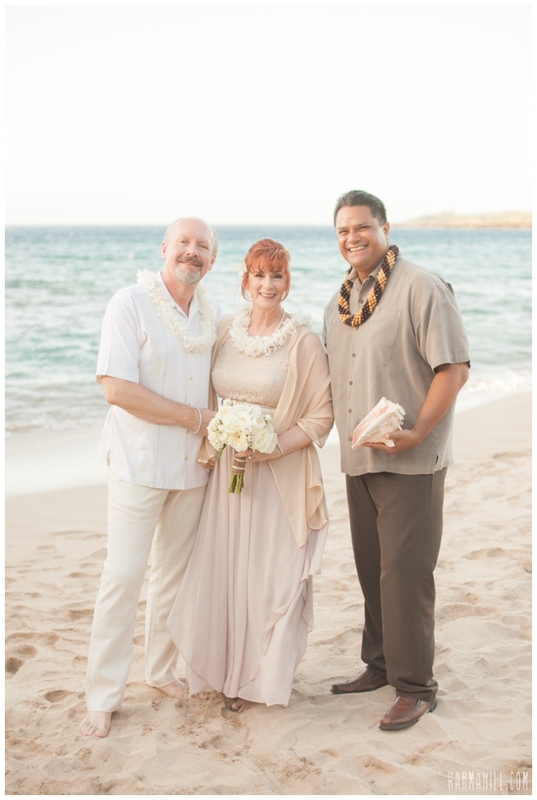 Reverend Valentine Rosete opened up the ceremony with the traditional Hawaiian chant called the Oli along with the blowing of the conch shell. 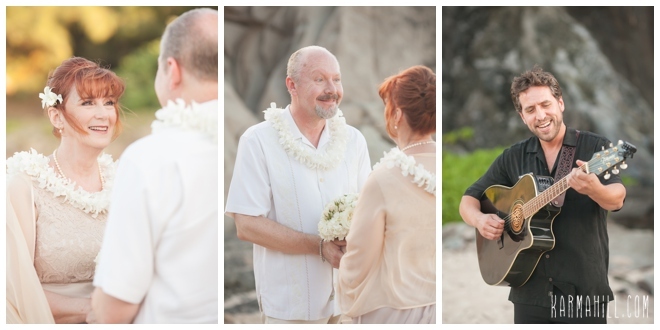 He led their lei and ring exchanges before pronouncing them Husband & Wife! What a special moment! 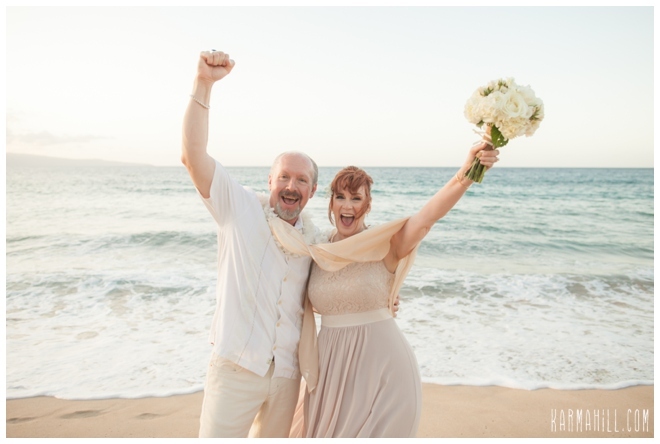 They were beyond ecstatic to be married and we were so happy we could be a part of their very special day. 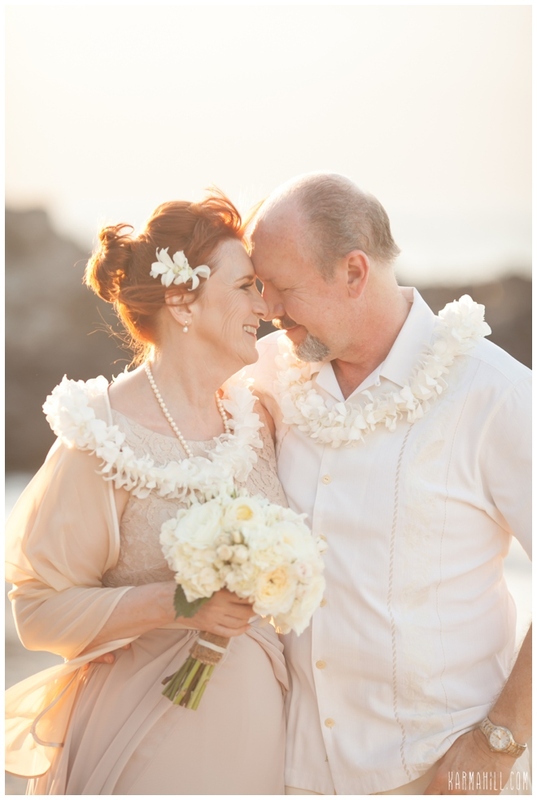 Thank you so much Laura & Bruce for choosing Simple Maui Wedding! 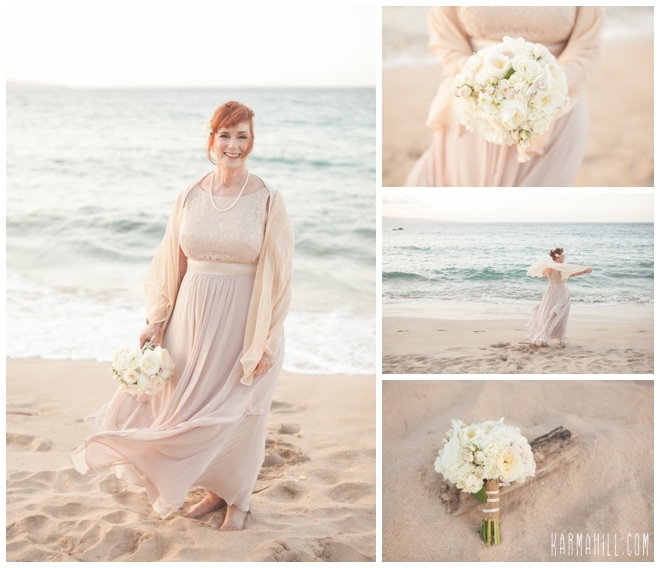 Check out our last Maui beach wedding with Lori & Will!